The Lakeland Humane Society operates independently of all other animal organizations and humane societies. We are members of the Alberta SPCA and the Canadian Federation of Humane Societies. The Alberta SPCA does not operate an animal shelter but does enforce the animal protection laws in the areas of Alberta other than Edmonton and Calgary. 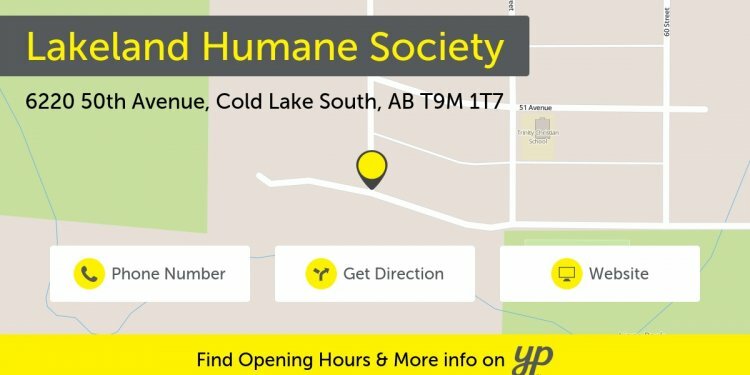 The Lakeland Humane Society does not have the right to enforce laws so all complaints are forwarded to the Alberta SPCA or the RCMP. Canadian Federation of Humane Societies acts as an information source to many of the humane societies across Canada. The City of Cold Lake, MD of Bonnyville No. 87 and the Village of Pierceland are responsible for Animal Control. This includes picking up strays and answering domestic animal complaints. The Lakeland Humane Society is not responsible for Animal Control. Please be aware that the Lakeland Humane Society does not receive any part of donations or funding sent to these organizations.